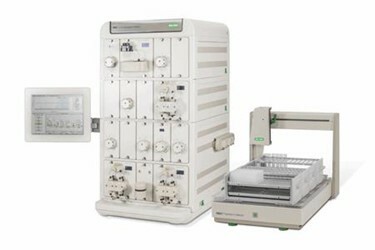 The NGC Fraction Collector offers multimodal collection based on slope, %B, pH or detector signals, collects into any sized vessel, from microtiter plates to carboys, and performs front-to-back dispensing for painless access to fractions without pausing or stopping a method. A highly efficient benchtop Peltier cooling module preserves the integrity of temperature-sensitive samples. Visit www.bio-rad.com/NGCFC for more information.